If you are searching for a DNSSEC validating DNS server, you can use BIND to do that. In fact, with a current version of BIND, e.g. version 9.10, the dnssec-validation is enabled by default. If you are already using BIND as a recursive or forwarding/caching server, you’re almost done. 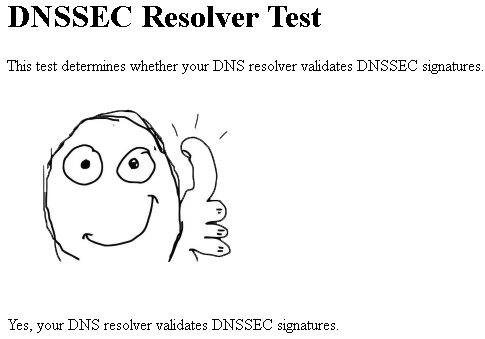 If not, this is a very basic installation guide for BIND with DNSSEC validation enabled and some notes on how to test it. and restart the server: sudo service bind9 restart. That is, the managed keys are stored here: /var/cache/bind/managed-keys.bind . Congrats! You are now validating domain names. This dumps the whole cache into this file: /var/cache/bind/named_dump.db . Final notes: A much more detailed post about BIND as a caching server is here. And yes, I know that some security people don’t like the usage of BIND for a mere forwarding DNS server. The blog post about Unbound is coming soon. ;) Cheers. Featured image “Daelim Motorrad Leichtkraftrad FOR SALE nur 9810km!” by naufragoenlasopa is licensed under CC BY-NC-ND 2.0.